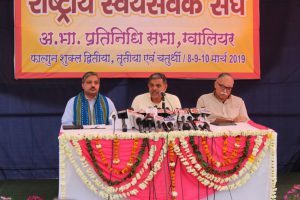 The Akhil Bharatiya Pratinidhi Sabha of Rashtriya Swayamsevak Sangh, passed a resolution on ‘Bharatiya Family System: A Unique Contribution to humanity’ in its three day meet at Kedardham in Gwalior, Madhya Pradesh, said the Sah Sarkaryavah, Shri Dattatreya Hosabale in a press conference today. Sh. Hosabale said that the Sarkaryavah Sh. Bhaiyya ji Joshi stated during the meet that the 75th anniversary of the Azad Hind Fauz government should be celebrated all over the country. “With the passage of time, some distortions and rigidity have crept in our society. Ill-practices like dowry, untouchability and discrimination, ostentatious and extravagant spending, superstitions etc are creating obstacles in the all round development of the society. 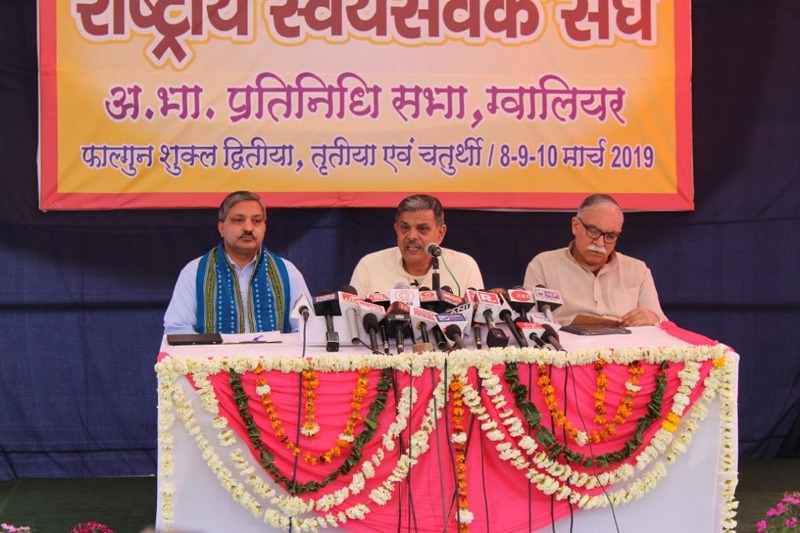 The ABPS calls upon the entire society, starting from our own families, to make efforts in uprooting these evils and shortcomings and work towards establishing a value based and harmonious society,” the resolution said.